What draws you to the healthcare industry? Do you envision yourself as a medical assisting superhero, helping both clients and doctors alike? Do you desire the confidence that comes with educating yourself for a brighter future? Or, if you’re anything like Ms. Meka Drummonds, one of our fantastic instructors, you probably have an exceptionally caring disposition. Ms. Meka agrees, “I chose this profession because I have a genuine caring heart for others and their wellbeing. The medical field has always been a passion of mine and being able to help others has blessed me in so many ways.” Whatever piqued your curiosity, you have found a fantastic medical assistant program here at Cambridge College. Additionally, you will complete a medical externship. This is invaluable experience, which allows you to learn directly on the job in a clinical healthcare environment. You can also begin to network, creating industry connections! 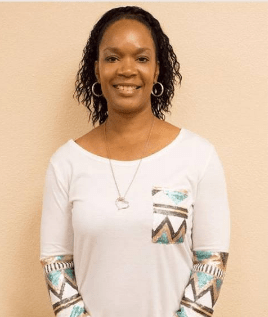 Asides from her caring disposition Ms. Meka has an outstanding work ethic, rising at 5:15am to devote her entire day to teaching aspiring medical assisting students, and then attending to her family. Spectacularly, she does not rest until 10pm! What gives her the motivation to pull such long days? Ms. Meka states, “My family keeps me focused, determined, and their constant support motivates me to do better. I give my undivided attention to anyone who is in my presence. God, family, and work is my life.” Inspiring! With motivating and caring mentors such as Ms. Meka you will be inspired to devote 100% of yourself to learning and self-actualization. Is a career as a medical assistant right for you? Get more info today!